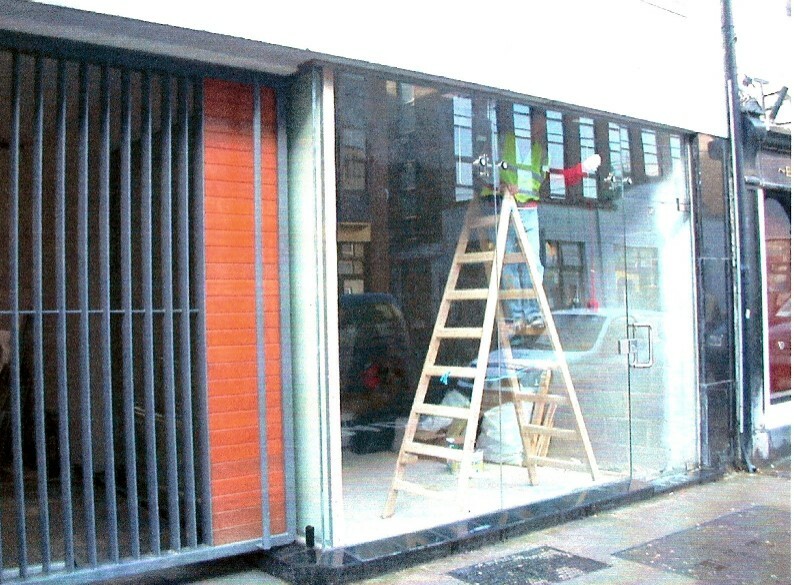 I (on behalf of my office) recently lodged a retention application for a project on Forster Street in Galway. A matter of a number of extra veelux roof lights and other minor matters, fenestration changes to an internal courtyard etc. About three weeks later (not too bad) the application was returned as being invalidated on the grounds that no site notice was visible when the project was inspected by the planning authority. I was gobsmacked as I regularly walk by the site and always noticed it in place. I contacted the authority who confirmed that on inspection the site notice was missing and had photos to prove it. On request they forwarded the photos (see attached). During the five or so minutes of the planning authority’s inspection, a window cleaner removed the site notice to do his job and then replaced it in the correct position. Rotten timing of course (or did they wait on purpose?) Despite my pointing out this fact the planning authority insisted that the application was invalid even thought they have the power to accept that the notice was up in good faith (I believe), ha!!! and hence we had to relodge with yet more time and expense gone south and an upset Client. Why oh Why oh Why? Colm, the six week trip to Australia for an annoying chronic objector of your choice is yours to award to an annoying chronic objector of your choice.